Fork In The Road published a co-created cookbook made in collaboration with Mutual Press, a risograph print studio based in Craigmillar. This two colour limited print edition is full of twenty four different recipes and artworks from participants memories. 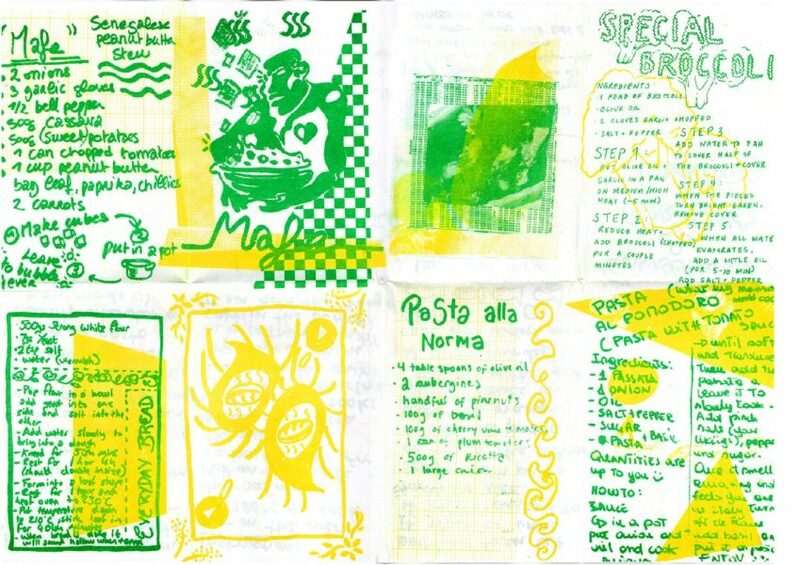 On the 17th of June 2018 we invited participants to share their strongest, deepest held memories of food in the form of a recipe and an illustration, which we then collated into a book. The Mutual Memory Cookbook is a book of individual recollections brought together as collective memories.